Scott Brennan, publisher of the Paso Robles Daily News. The Paso Robles Daily News is now offering online advertising in Paso Robles to local businesses looking to drive more traffic and attract more customers. 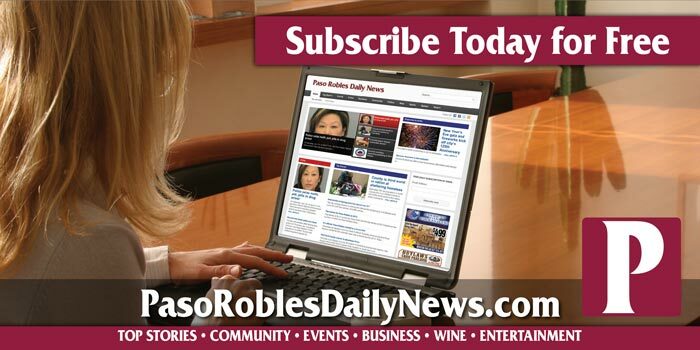 Thousands of local residents are looking to the Paso Robles Daily News every week. The local news website receives over 5,000 views a day and 200,000 views a month. Reach our local readers with your marketing campaign. 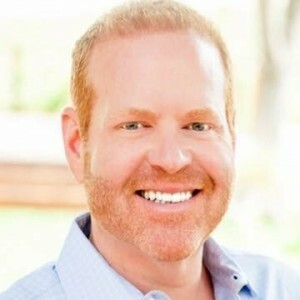 “Advertising is important to the success of every business and online advertising is more important than ever,” says Scott Brennan, CEO of Access Publishing and publisher of the Paso Robles Daily News. If you are looking to reach a local audience in North San Luis Obispo County, the Paso Robles Daily News is the best way to target your advertising message. Our readers are local residents and business owners looking for complete, comprehensive and up-to-date news about our North San Luis Obispo County Communities. A high volume of inbound traffic comes from Google, Bing and Yahoo searches. Over 15,000 Facebook fans and Twitter followers are regular viewers. Over 3,500 subscribers receive daily email updated in their in-boxes. Business ads are seen on every article on the site and on every kind of device, from desktop computers to smartphones and tablets. Our team of advertising and marketing staff here at Access Publishing have been meeting the needs of local businesses for over 20 years. We have experienced marketing consultants and on-staff graphic designers to help you with your ad campaign. Click her for tips on designing an effective online ad. If you have an urgent marketing campaign for an event happening next week, you need speed. 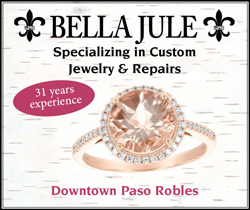 The Paso Robles Daily News can have your ad campaign up in less than 24 hours. There is no need to waiting for printing and distribution. Advertise to your Paso Robles audience with the demographics that make sense. The Paso Robles daily news has a highly desirable demographic profile that includes well educated, higher-income readers who are concentrated in the 18-54 age groups and skew toward female readers. 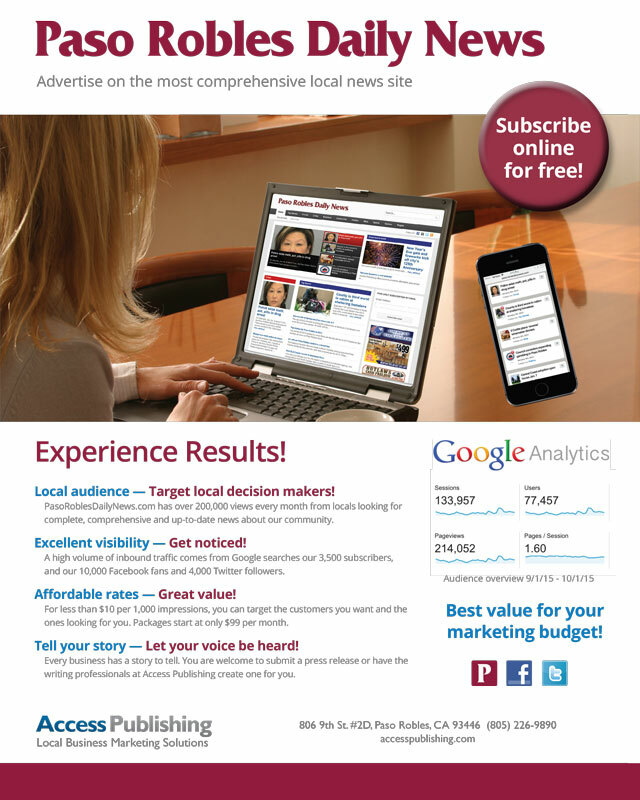 Call us at (805) 226-9890 for the best online advertising in Paso Robles!